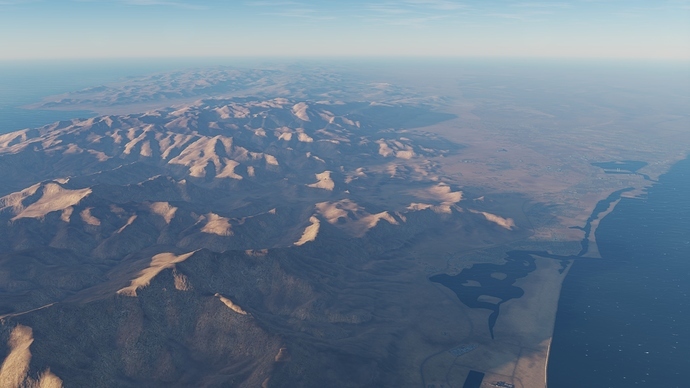 Just as we are doing for the updated Caucasus map, we will also be using SpeedTrees (trees and bushes) for the SoH map. The attached (follow link above) are images are work-in-progress, first look at the new tree tech in the SoH map. Fantastic !!! Would Love to see this tech implemented in Normandy also. Yeah… That map has a lot of trees. I wonder how much of a job it would be, to update it with SpeedTrees, and how much of a performance gain we would see? But probably isnt. Looks jummy to me. That city is going to be fun flying low over. It is, at least for testing. According to Wags it is being tested right now to make it ready for public, I guess. I also remember reading that the SoH terrain would arrive earlier than the Hornet (which is also in it’s testing phase). However AFAIK ED doesn’t wait to release their products so that they can release both modules like the F/A-18C and terrains like SoH into a perfect package. That would bring a lot more work, perhaps worth the profit. I hope SoH gets released earlier. The map has a lot of potential for existing aircraft. Maybe do a preorder type deal where if you pre order the map, you get a two week early-early access on the hornet. Surely by Summer we will be flying the hornet in some capacity, maybe a fall release of the Gulf map. Who knows? using my completely scientific method of a tape measure on the screen with the map scale shown at 40nm, I come up with 342 nm x 342 nm measuring just the detailed square portion of the map. How does that compare to NTTR? Personally I dont have a problem with the size of NTTR, but I’ve read some other peoples issues that its too small. The method of this experiment required me to measure the scale bar at the bottom right of the map, which read roughly 2.25 inches. The map length was roughly 19.25 inches. That equates to roughly 8.5 bar lengths across, which would be 342 ish nm. 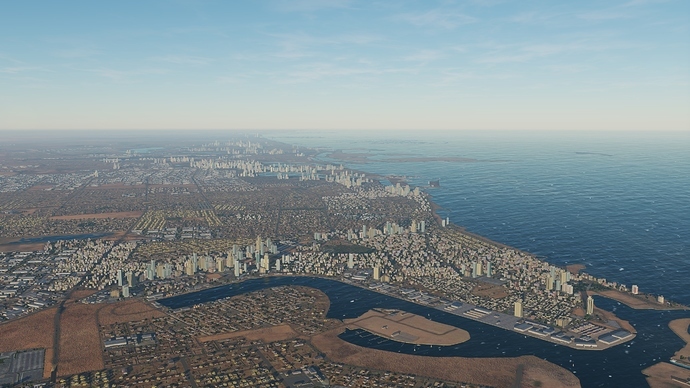 Also how does DCS handle the edge of a map with water? Correct me if I’m wrong but doesnt the terrain just auto generate in NTTR when you fly “off” the map? If that’s the case with this map, you could place a carrier group as far “off” the map as you want to create some separation. @staff might want to merge these posts with the existing Persian Gulf map thread. It’s smaller than the NTTR. I’m concerned it’s too small to do some more outlandish fun stuff, and I’m concerned that the majority of Iranian airports are very small and very fragile. Still, ED did a great job filling out the NTTR post release, and Wags specifically name dropped Shiraz which is way the heck out North west of the current bounds. Correct me if I’m wrong but doesnt the terrain just auto generate in NTTR when you fly “off” the map? If that’s the case with this map, you could place a carrier group as far “off” the map as you want to create some separation. I imagine you’d get infinite water, but no one’s done it yet. NTTR has land where the Pacific should be, Normandy is surrounded by a strip of land. You cannot pan the mission editor off the side of the map. You could get the carrier there by scripting or editing the .miz values directly, but good luck to the person trying to QA that mission when AI are involved. With maps that small, it seems like air-to-air refueling is a skill you won’t need much. Janes’ F/A-18 and F-15 had pretty huge maps, and So did Strike Fighters / Wings Over Vietnam/Israel/Europe. So Space and Download/Install Size isnt really a thought. 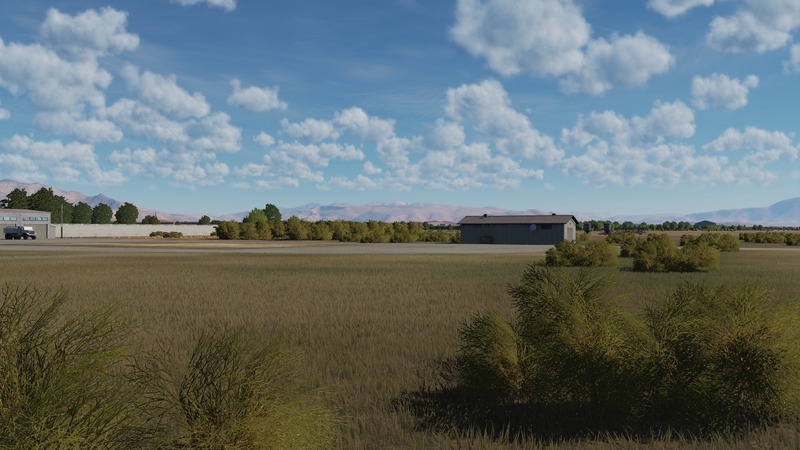 DCS, Like FSX / P3D tries to at some level to re-create scenery accurately without violating Copyrights/Trademarks. (Just dont try a low level cross country round the globe flight in FSX, you’re HDD and Ram Sticks will die… lol. That way, west of NTTR would be Cali, then the Pacific Ocean, it doesnt even have to have scenery as any mock combat would be at altitude or over the ocean, that would allow Navy Units to be placed off shore. etc. Same for Normandy, and same for Persian Gulf, extend the map to have at least a generic representation of the land/water of the globe instead of land all around. That’s the dream. I have no idea if it’d be feasible, but I’d be perfectly happy if it were somehow possible to throw in repeating tile sets outside of the hi-detail areas. I might be biased, but I don’t particularly care if the Iranian or Saudi deserts are represented with the utmost fidelity. I’d be willing to accept islands of detail surrounded by seas of repetition if it got us back to Janes/SF sized maps. Pretty sure AVIA/ConcordXIII/SmartGraf had an Iraq Map Somewhere.